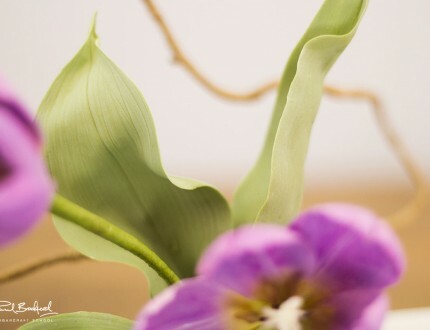 In this lesson, Robert shows us the first stage of creating the tulip leaves. Robert doesn’t use any cutters when making leaves as he likes the freedom of using a sharp knife and creating any size or shape he likes. It’s good skill to learn and one that will save you money. A handy tool he uses is a small metal wired brush that he uses to create veins in the leaf. In this lesson, Robert shows us how to make the fantastic glaze that can be adapted to create different finishes. Here Robert shows us how to mix up specific dust to create lovely realistic tones for the leaves, and then demonstrates using special brush techniques to get the best results. It’s always a good idea to do this before shaping the leaf and allowing it to dry. He then goes on to show us how to colour the stamens which will add a whole new level of realism to the overall look. Robert then glazes it which seals in all the colours. The glaze recipe is detailed on the ingredients section, as well as demonstrated in another lesson within this tutorial. Robert’s brand New Tulip petal & Tulip leaf double sided silicone veiners as well as a set of small tulip pistils are now available to purchase. In this lesson Robert shows us how to dust the petals using a mixture of various colours to create beautifully realistic tones. Robert advises using white or cream paste when making them, as there is the temptation to use coloured paste to make dusting easier. The opposite is true however, and you’ll actually make your life easier by creating all the colours from scratch, as it gives you more control. In this lesson Robert shows us how to begin bringing the flower together by attaching the stamens to the pistol. Using green florist tape he attaches the stamens in a way where he is still able to manipulate their height and angle. 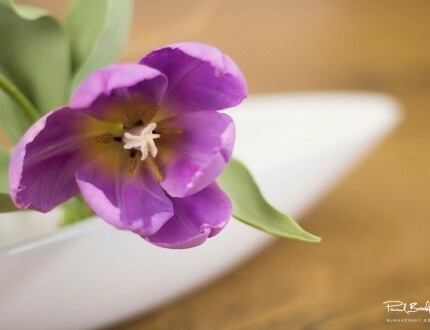 Here Robert shows us how to attach the petals with some great little tips and tricks to get a very natural look. Once again he uses green florist tape and thickens up certain parts to add realism. He then shares a fantastic trick for making sure everything keeps it’s shape for attaching the leaves. In this lesson, Robert attaches the leaves and uses a very clever technique with scissors to polish the stem. This helps add texture and depth to the overall look. You’ll see why adding the cling film hat was a good idea, as he moves the flower a great deal while adding the leaves. If you happen to be making a sugar flower arrangement, then this would be a beautiful addition to enhance the overall design. 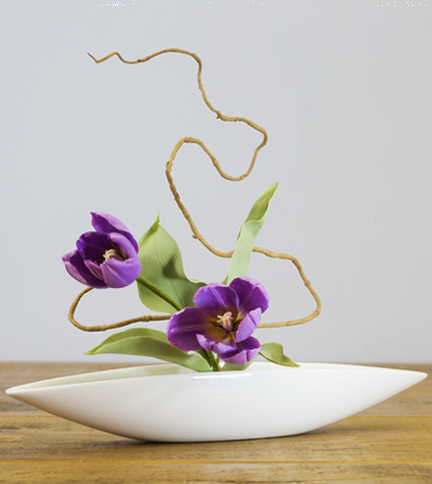 It gives a very modern look and is in fact very simple to make – it’s entirely up to you what shape it is. It’s great fun! 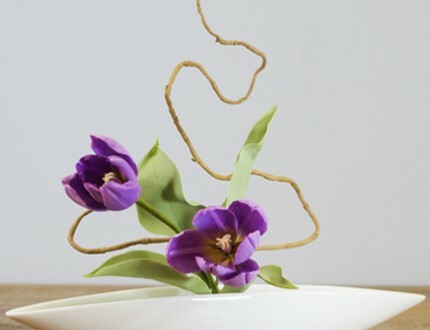 In this lesson Robert shares some other ideas you can implement when making the Lilac Wonder Tulip. 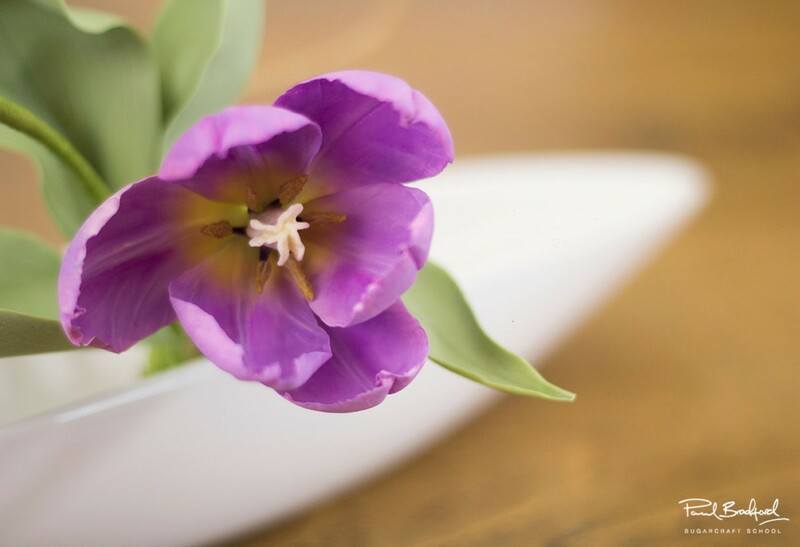 We’d love to see your take on Robert’s tulip – please share your snaps with us on our Facebook page as well as Robert’s. In this lesson Paul steps in to talk pricing and costing and much more… vital information for any professional cake designer. In this video we’ve carefully selected all they key moments that should provide more than enough to get you started… it’s perfect for those of us struggling for time. NOTE: THIS WAS FILMED BEFORE ROBERT HAD HIS BOTANICALLY CORRECT CUTTERS AND VEINERS. ROBERT USED IS OWN TEMPLATES IN THIS TUTORIAL. THE CUTTERS AND VEINERS ARE NOW AVAILABLE VIA THE TOOLS TAB. Looks too good to eat, doesn't it? 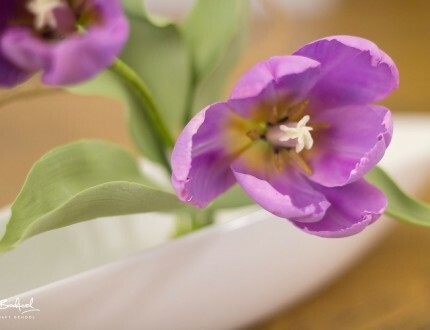 Robert introduces us to his stunningly realistic Lilac Wonder Tulip. Intermediate to advanced level cake decorators will love this tutorial, and should allow take two to three days to create, allowing for drying time. This design, as you may have noticed, doesn't actually contain any cake - but it does make an incredible cake decoration or topper. 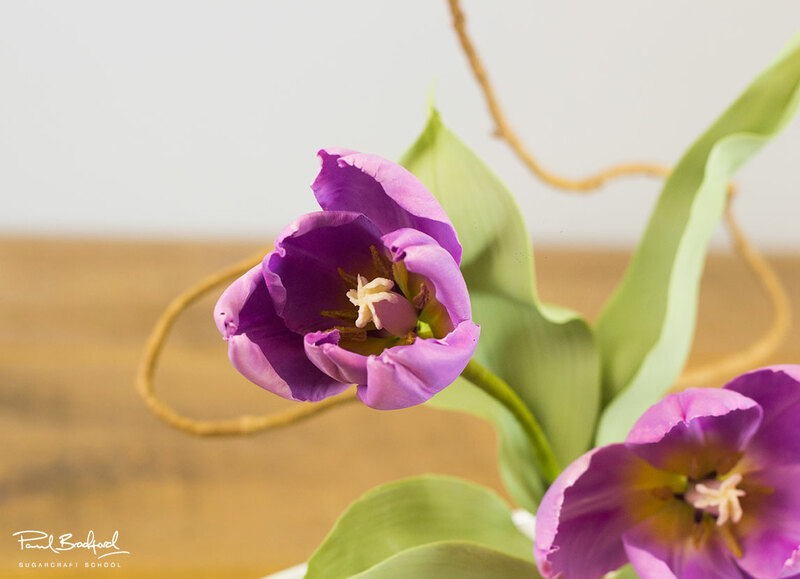 Imagine a simple white cake with this beautiful tulip sat on top - perfect for a wedding or any special occasion. 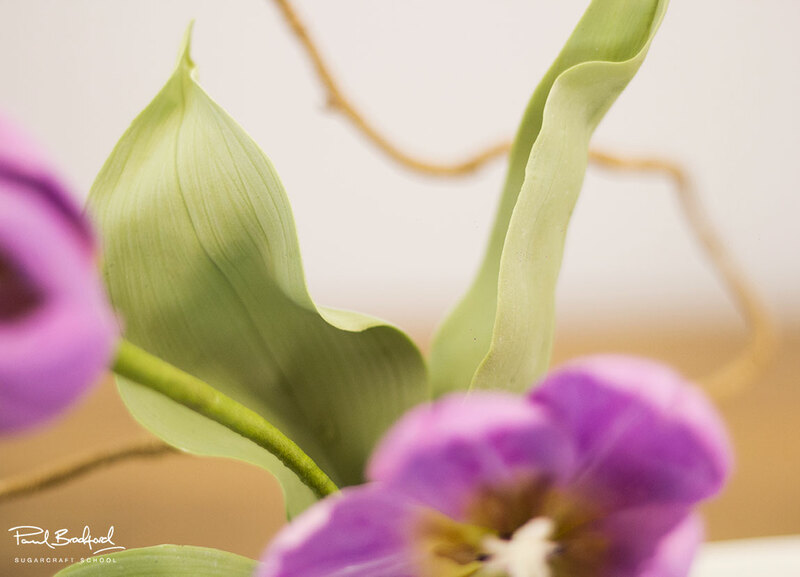 Robert's edible flowers have even been known to be part of a bride's bouquet... that's how realistic they can be! This tutorial covers many different skills including working freehand and using more advanced tools than cutters, advanced dust work, creating fine detail with everyday objects, various ways to glaze for different finishes and much more. 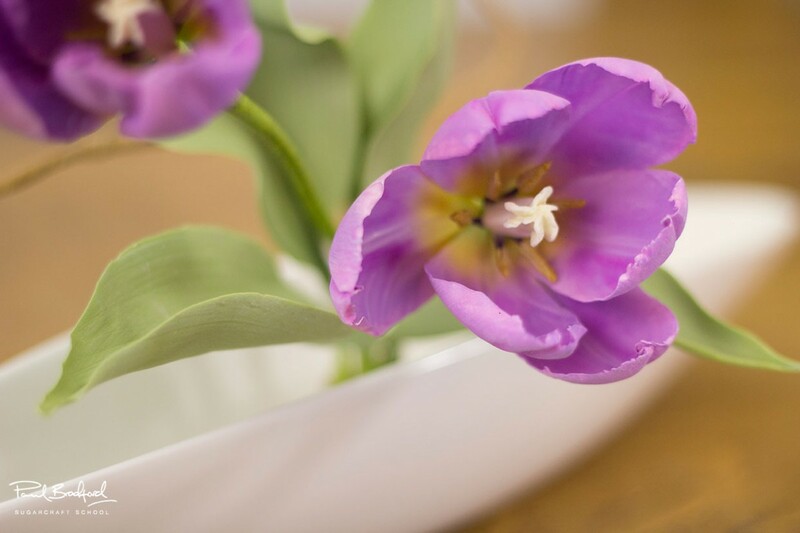 We'd love to see your take on the Lilac Wonder Tulip - share your snaps with us on our Facebook page!